Many of us in the field of technology product management are so familiar with market segmentation principles that we take them for granted. In fact, I would bet that many of you respond to the topic with a big yawn. So, you might be surprised to learn that we have found that too many product managers don’t go far enough with segmentation to get the results they need to grow their business. We’ve all seen the analyst reports that estimate that a particular market size is huge and growing. Typically, these markets are defined in lofty and large terms that are perfectly fine for journalists and bloggers to quote in their posts, but inadequate for those of us responsible for making decisions about product features, pricing and go-to-market strategy. 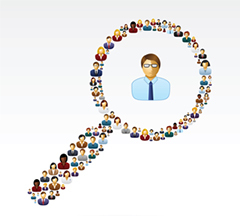 You won’t be alone if you have relied on an analyst’s market definition to frame your target market segment. Frankly, thorough and thoughtful market segmentation requires effort and time. It isn’t a trivial exercise. Even if you believe that your segmentation is as complete as it can be, read on to learn how we suggest you test it just to be certain. Recently, we worked with a company (let’s call it Roxar) that provided data protection, disaster recovery, file syncing and business continuity services. Roxar sought to expand its product offering and its target market to address the cloud back-up software market segment. Their goal was to find a suitable target for acquisition and integrate that offering into the existing product portfolio. The challenge they faced was one of riches! They saw a market with millions of potential buyers and users and billions of dollars of annual spend. The market potential was huge and it was also crowded with large global IT firms and new entrants. The market’s opportunity was attractive and also misleading. We helped Roxar’s product team and executives through a research and market validation exercise that focused and resized the target market from over $10 billion to $250 million. Initially, the CEO was skeptical that shrinking the market opportunity would be useful to their strategy and product direction. Eventually, he warmed to this new view of the market as we demonstrated how this tight and targeted segment gave more creditability to the company’s product strategy, go-to-market and channel strategy. These are excellent signs that a company has done a very good job with market definition and segmentation. Have you gone far enough with your market segmentation?